Over on the DL Deals Store, you can grab a Andru Chill USB Charger for just $15, down from its usual price of $25. 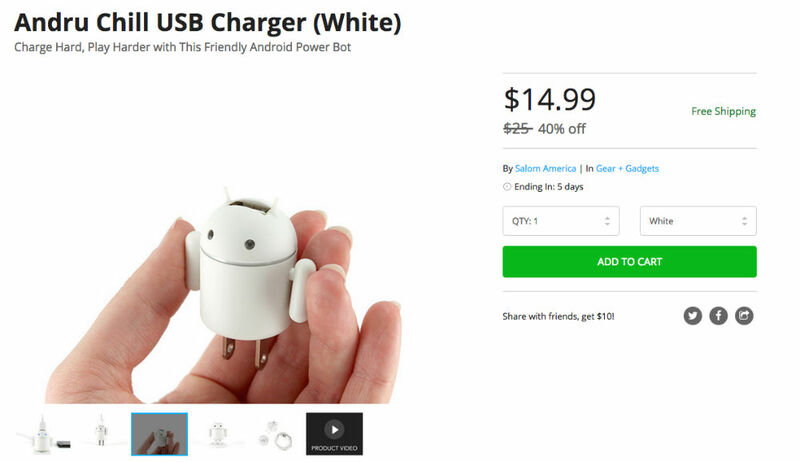 We have covered these Andru chargers before, since they feature an adorable little Bugdroid character, and this is a good chance to score one below their MSRP. This little Bugdroid charger features moving arms and antennae, plus light-up eyes while your device is charging or in standby mode. Included with the charger is its own little stand, plus a cable for the actual charging of a phone. If you have always wanted one of these little guys, hop on it.